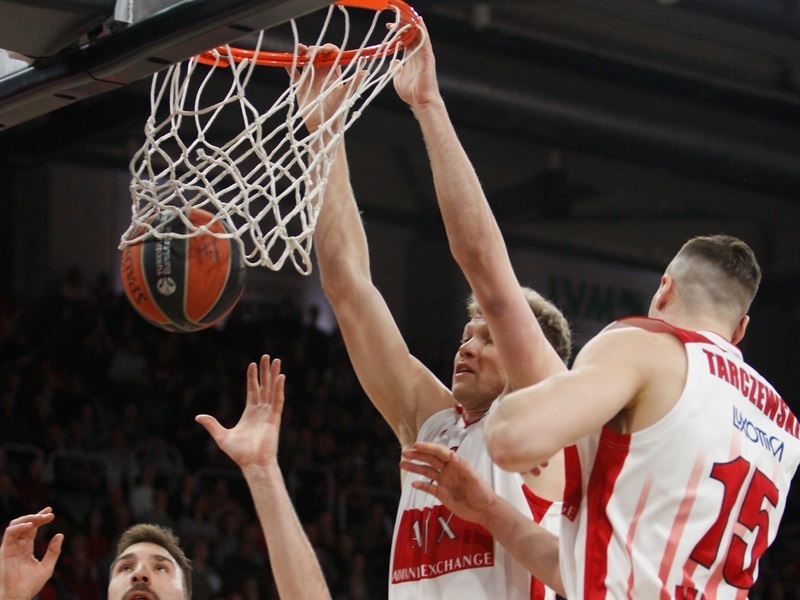 In a clash of two already-eliminated teams, EA7 Armani Exchange Olimpia Milan snapped its three-game losing streak by rallying in the fourth quarter for 78-83 road win over Brose Bamberg on Thursday night. 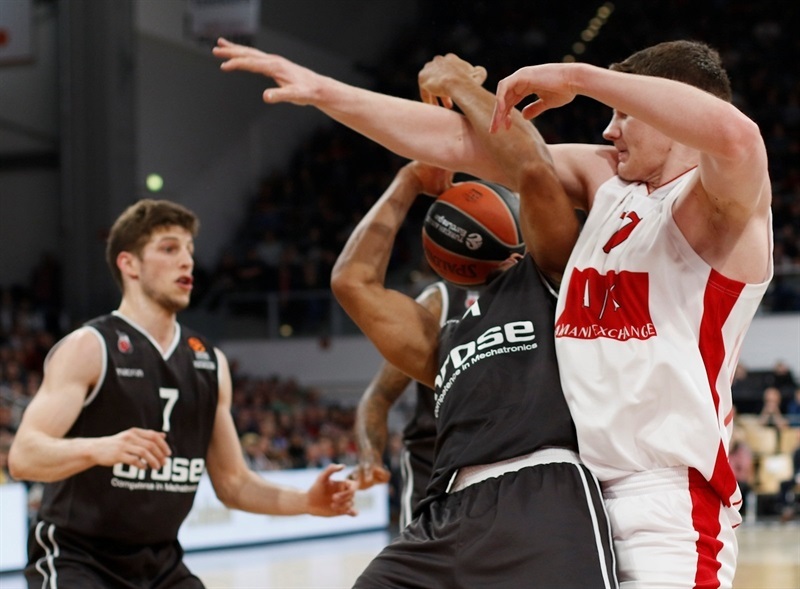 Milan improved to 10-19 on the season, one win behind Brose which is 11-18. The teams traded leads throughout the night and neither side held a double-digit lead at any point in this game. However, it was Milan who delivered the final blow with a 7-19 fourth-quarter run to turn a 6-point deficit into a 6-point lead it never relinquished. 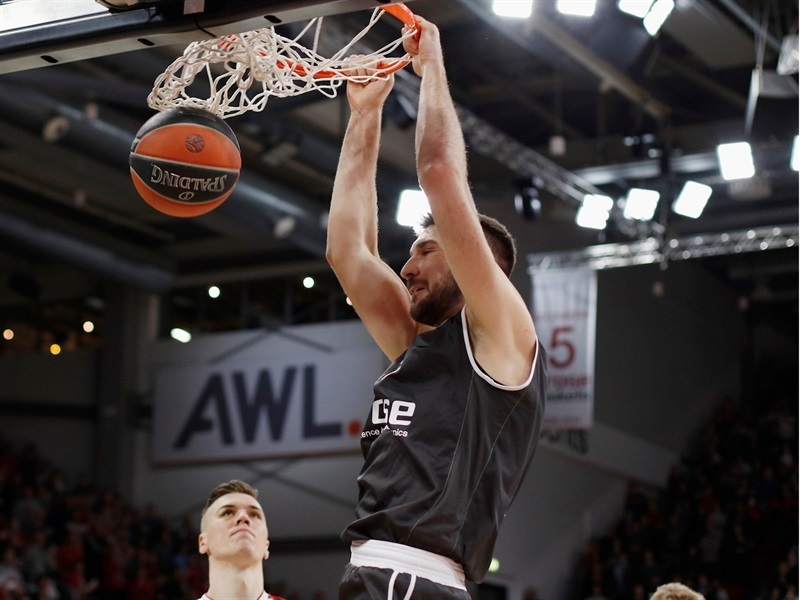 Vladimir Micov led Milan’s balanced offense with 14 points, Amath M’Baye scored 13, and Andrea Cinciarini and Arturas Gudaitis had 12 apiece in victory. Daniel Hackett scored 17 points in Brose’s final home game. 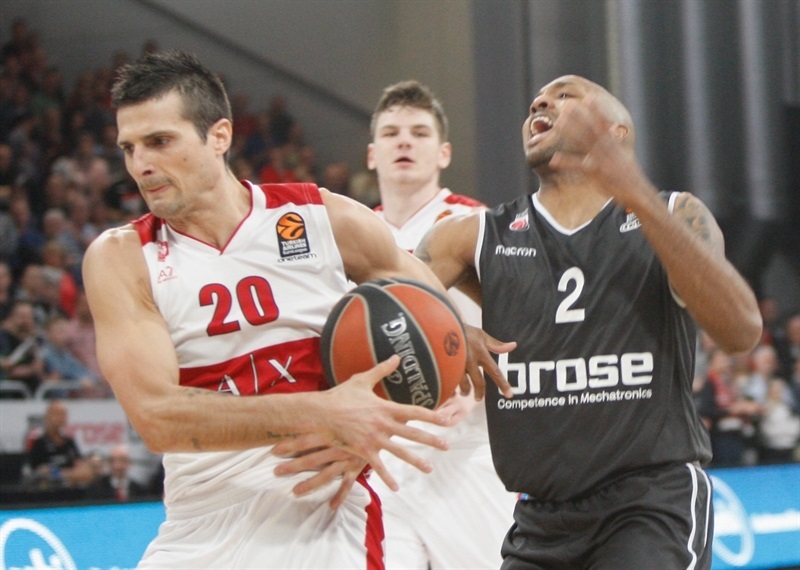 Leon Radosevic had 13 points, Augustine Rubit added 12, Ricky Hickman 11 and Dejan Musli scored 10 in the losing effort. Andrew Goudelock opened the game with a long three-pointer and sparked a Milan run that saw Cinciarini also hit a three to help open a 2-10 lead. That was just the first in a series of quick runs in the first half. After a Brose timeout, Musli and Hackett scored basket-plus-fouls to close the gap. Micov hit a three-pointer and couple more baskets, but Dorell Wright knocked down a pair of triples for the hosts. A three-pointer from Curtis Jerrells made it 17-24, but Brose answered with a corner triple from Hackett and a three-point play from Rubit. M’Baye closed the first quarter from long range to make it 23-28, and Lucca Staiger opened the second quarter with a transition three for Brose. 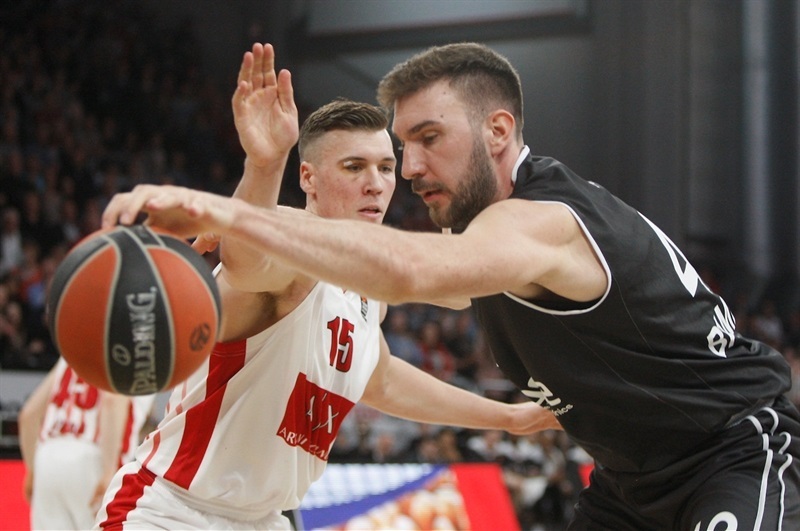 Radosevic and Rubit helped the hosts take their first lead, 32-30, with close-range baskets, before Brose went on a 7-0 run during which it held the visitors without a field goal for more than three minutes. A three-point play from Hickman made it 41-34, however, Milan scored the next 9 points, including M’Baye’s three-point play and Goudelock’s consecutive floaters, and the teams went into halftime tied at 43-43. The teams traded buckets early in the third, with Cinciarini making a runner and hitting a triple for the visitors and Rubit scoring a put-back and a baseline jumper for Brose to tie the game at 52-52. Radosevic scored three consecutive baskets inside, including a dunk, to help the hosts regain the lead at 60-54. 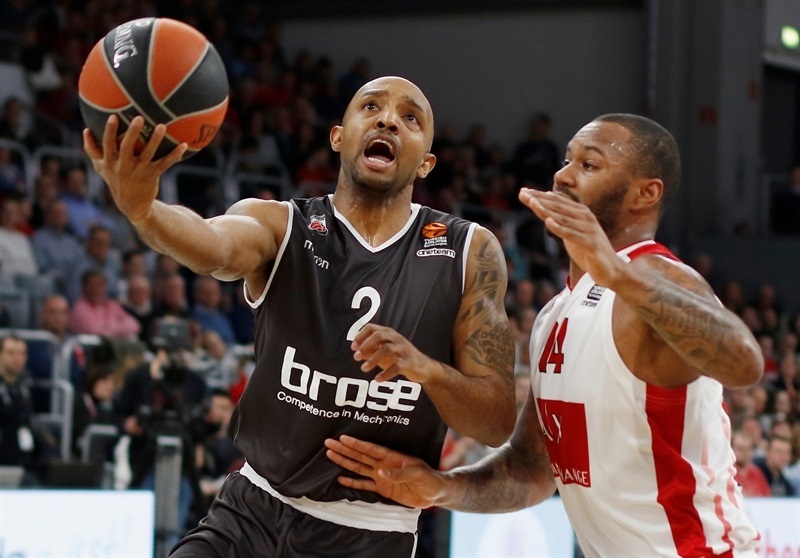 After a Milan timeout, Jerrells scored on back-to-back possessions, but Brose took a 64-60 lead into the fourth quarter. 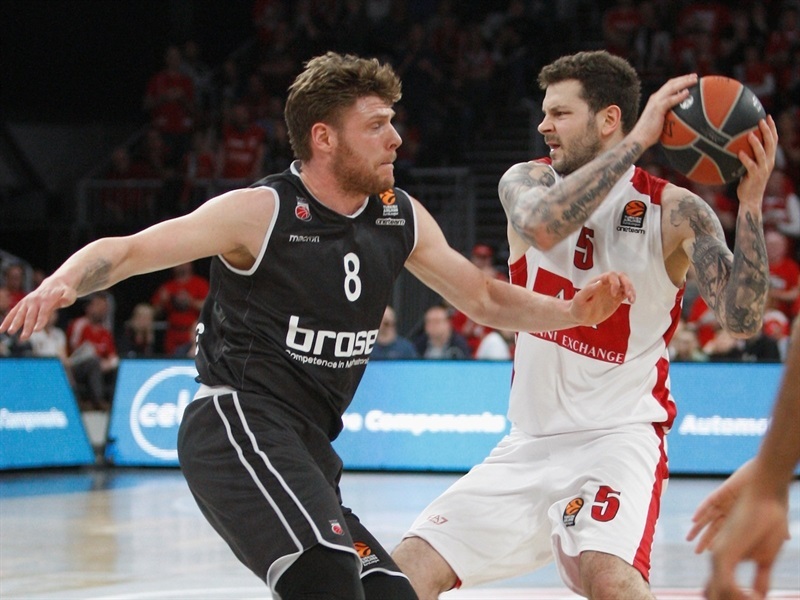 Micov and M’Baye strung together three-point plays to tie the game at 66-66 at the start of the fourth, and after Hackett had a three-point play for the hosts, Dairis Bertans hit a pair of threes with Gudaitis scoring a layup-plus-foul in between them, giving Milan a 73-77 lead with four minutes to go. A block on one end and a dunk on the other by Gudaitis made it 73-79. 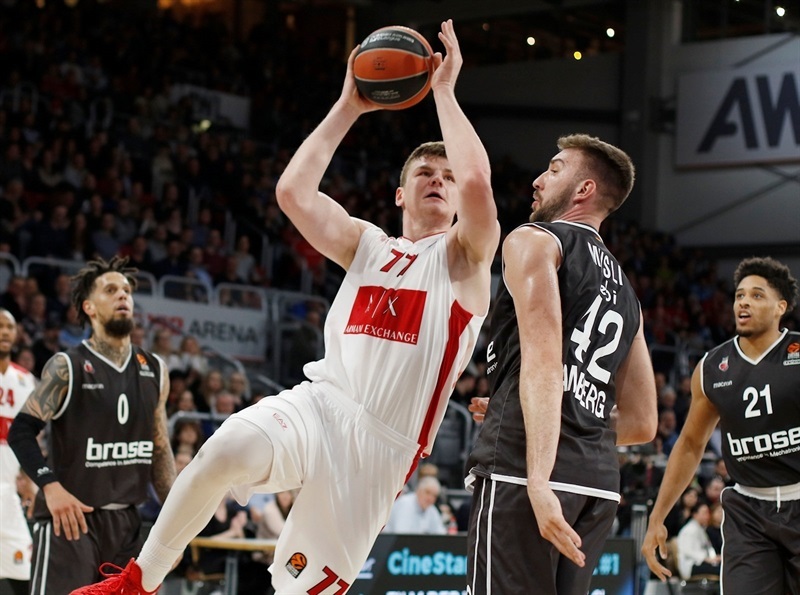 Hickman drove for a layup and Radosevic scored inside, but Bertans hit a baseline jumper and Micov sealed the outcome with a layup. 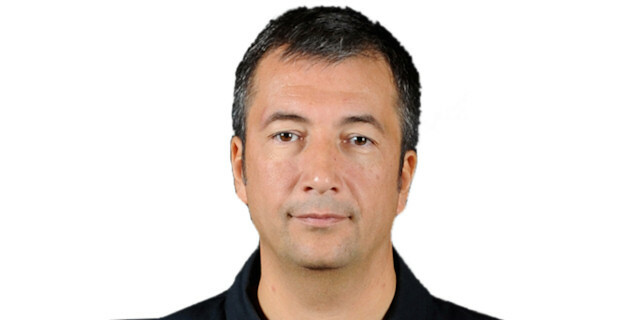 "We are sorry because we would have liked to have a win in the last home game this EuroLeague season, but the game was tough against a very competitive team that proved it has resources, players and the talent to play until the end. In the last minutes of the game we had problems, we played without Zisis from the start, then without Hickman who hurt his left thumb, and we struggled to contain the aggressiveness and energy of their guards. They scored too much, and we were not able to keep the same sharpness, same execution, and same ability to distribute the basketball and find the right target on offense. But we have to have a wider vision, see how we were able to lead in the game, control the game, and play with the right poise on offense. Now, we have to move our focus to the next challenges." 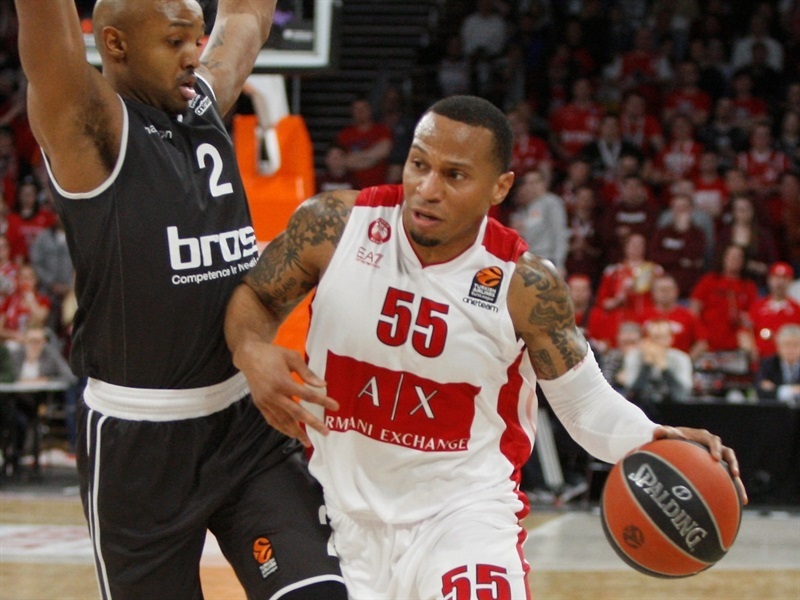 "We are trying to play the EuroLeague until the end in a positive way. It is important for us because we are a completely new team this season, with a new technical staff and new players. It is important to play at the same level like we did all season, also on the road against everybody. We had another good game. We played good on offense, built good shots. We were not too smart on defense, giving Bamberg too many free throws, but we were more focused on that in the fourth quarter, they scored only 14 points in the fourth quarter. I think we deserved to win this game. It is important for confidence. This is our fifth road win this season in the EuroLeague. We lost a chance to fight for the playoffs by losing many games at home, and losing games by one shot or in the last minutes." " I think in the end the key was the defense. We had a couple of great defenses, and then it is much easier on offense, and that’s the reason we won. This win is important looking forward, to really get some confidence for the Italian League playoffs."